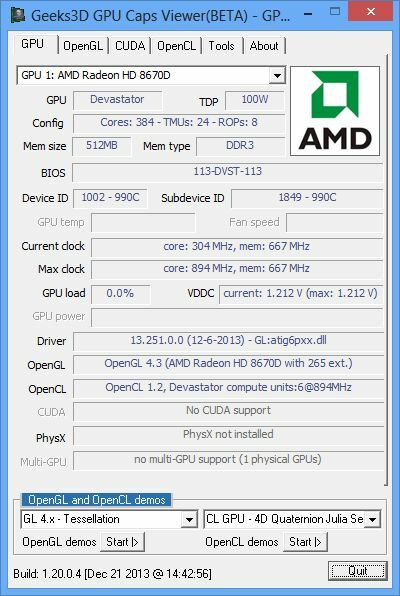 AMD has finally released a WHQL graphics driver for all its GPUs. Catalyst 13.12 is a Windows certified driver and packs all the features improvements and bugfixes brought by previous beta drivers. Now it supports up to OpenGL 4.3 instead of OpenGL 4.2 on modern graphic cards, sweet!